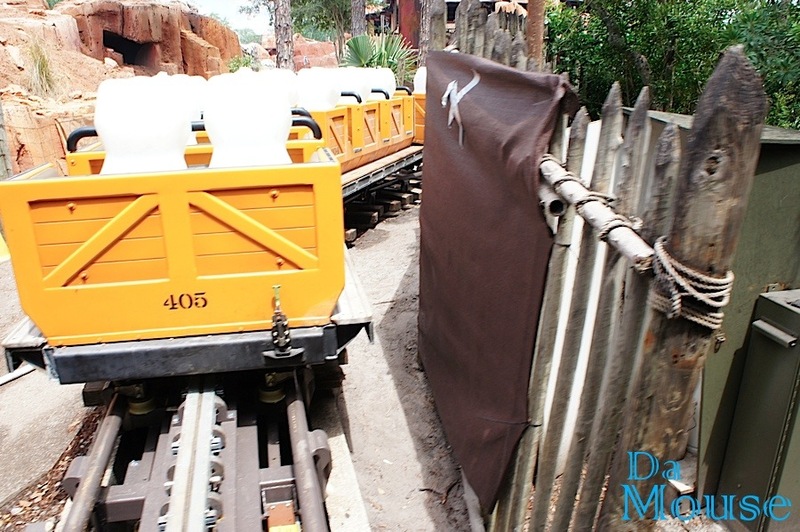 Big Thunder Mountain opened for testing yesterday! Twitter was buzzing yesterday with announcements that Big Thunder was testing! It seems like we’ve been waiting for construction to finish forever but testing means we are so close to the grand re-opening! Monday is the official first day we can take the wildest ride in the wilderness – and I for one – am so excited I can hardly stand it. Check out these amazing pictures and posts from bloggers who were actually there! John Frost, one of my blogging heroes, actually got to RIDE Big Thunder yesterday! Check out his write –up if you are interested in his honest review! There’s going to be a wider queue with added show scenes AND….wait for it….air conditioning!!! Yippee!! I think this photo is really neat. Who are these strange, white, faceless Disney fans? This might be my favorite picture of all. Thanks lady construction worker! What do you think? Are you going to head out for the big day tomorrow? Please send me your pictures and stories from the big day! My email address is disneyways@gmail.com. ← Food and Wine Booking Dates Announced! Thanks for the kudos, truly appreciate it and I hope you enjoy our updates in the coming days.